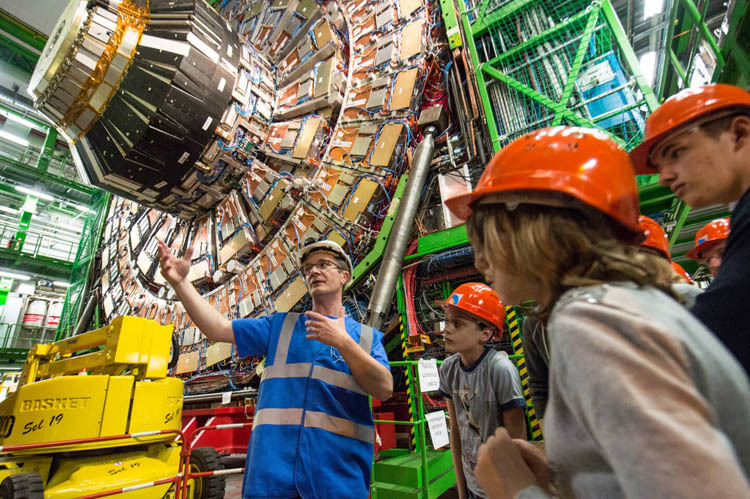 CMS invites you to follow the fascinating discoveries of our Compact Muon Solenoid (CMS) detector at the Large Hadron Collider (LHC). 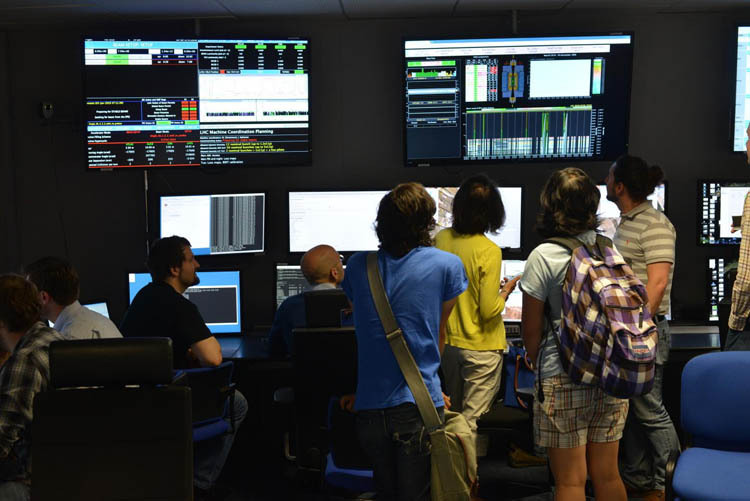 CMS is the only experiment where you can visit the underground facilities during the LHC running period. 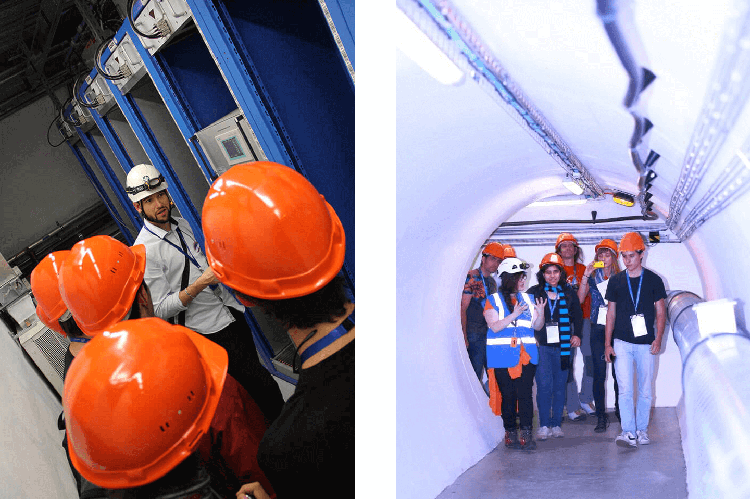 After a short introduction, groups are guided by a CMS engineer or physicist through the construction hall where the 15 sections of CMS were lowered 100 meters into the underground cavern, near Cessy, France. You will have the opportunity to visit the underground service cavern where the data from the CMS detector is sorted before being sent for analysis, and finally you will see the working control room.